Its not often im seen in any other shade nail polish than pink so purple nails is quite a rarity for me although something i have been seen sporting more and more often as of late! And of course paired with the obligatory glittery nail which i am hardly even seen without these days! 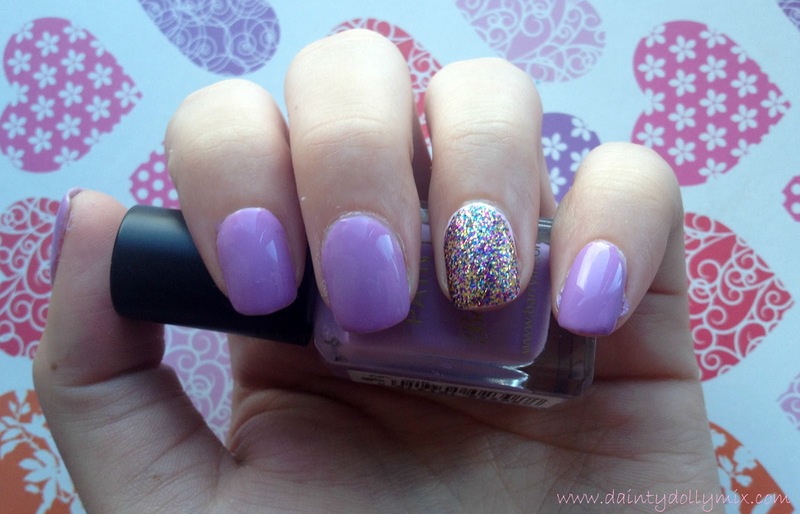 Todays nail of the day is courtesy of Barry M's Berry Ice Cream and OPI Sparkle-icious on my ring finger. I get asked quite often why i sport a bit of bling on my ring finger and i never quite know how to go ahead and explain it! A Lorraine Stanick trend? 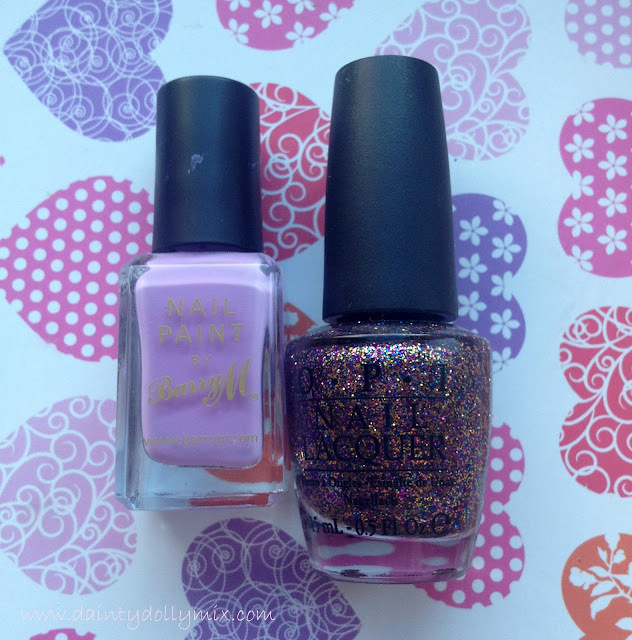 I am absolutely in love with Sparkle-icious, it is such a beaut of a shade but unfortunately limited edition! OPI why do you do this to is? It is jam packed with stunning gold, blue and purple flecks of glitter and i really feel as though it compliments the Barry M shade! As with most nail of the days i am wearing my Nailene false nails that come in the 200 pack, seriously couldnt recommend them enough! Next on the list of lilac shade polishes i want to try is Jo'mina by Illamasqua! I love this! That sparkle-icious is amazing! Nice combination, love the glitter! Your nails look gorgeous. Where did you buy your nailene nails from and how much were they? I've nominated you for a blog award. Just take a look at my latest post. Lorraine Stanick?! The ring finger manicure hasbeen around longer than I can remember! It comes and goes, just like any nail trend, eg crackle, magnetic - they've all been done before too. I have both of these but have never experimented with using them together - now I know how great it looks I'll definitely be giving it a go! visit my new make up, give me your advice, Thanks!